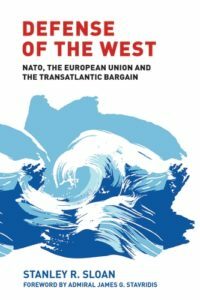 Defense of the West: NATO, The European Union and the Transatlantic Bargain (Manchester University Press: Manchester, UK, 2016) by Stanley R. Sloan. 22.50 GBP. Stanley R. Sloan’s Defense of the West: NATO, The European Union, and the Transatlantic Bargain is a comprehensive and accessible summary of the origins and purpose of the North Atlantic Treaty Organization (NATO), its evolution over time, and its future prospects. While published just prior to the June 2016 “Brexit” vote in the U.K. and Donald Trump’s U.S. electoral victory in November 2016, the book is highly relevant to contemporary debates over NATO’s future and the U.S.’ role in the alliance. It is a must-read for anyone—scholars and practitioners alike—interested in U.S. foreign and defence policy. The book is organized into three parts—a history of NATO during the Cold War, a description of its changing role after the Cold War, and an analysis of current prospects. While NATO was created in 1949 with 12 founding members and has since expanded its membership to 28 countries, what may not be common knowledge, as Sloan stresses and reminds the reader throughout, is that NATO has always been more than just a military alliance focused on warding off, for example, threats from the Soviet Union as during the Cold War. Rather, as Sloan notes according to the preamble to the NATO treaty, the alliance also represents an agreement of members to protect and defend the core Western values of “democracy, individual liberty, and the rule of law.” Relatedly, Sloan adds that the alliance was created with a “broad and flexible” mandate, rather than being limited to counter a specific threat (i.e., the Soviet Union), thereby giving NATO greater flexibility to adapt to geopolitical changes as well as play a role that is not time-bound (i.e., limited to the Cold War). In terms of key terminology, Sloan eloquently describes what the original “Transatlantic bargain” is and what he means by “the West.” According to Sloan, the first part of the Transatlantic bargain was that the U.S. would support Europe’s economic recovery (e.g., via the Marshall Plan) after World War Two if European governments would, in turn, use the assistance in an appropriate manner to strengthen liberal democracy and promote economic growth. Similarly, the other half of the bargain entailed the U.S.’ willingness to help defend Europe from the Soviet threat (or others) so long as Europe would also agree to help defend itself. How successful was this bargain? Sloan argues that Europe met the first half of the bargain but was less successful in meeting the second half, leading to Europe being highly dependent upon U.S. military support, especially during the Cold War. Sloan also points out how some alliance members made their own arrangements with the U.S. and other members under the overall NATO umbrella. For instance, he cites how Canada, France, Germany, and the U.K. early on, and then newer members from Eastern Europe later on, each negotiated “subordinate bargains” to each country’s benefit so long as these were still consistent with the broad framework and purpose of the alliance. By “the West,” Sloan’s definition is rightly broad to include both the transatlantic democracies, many of whom were founding members of NATO, as well as other like-minded countries (e.g., Australia, Japan, New Zealand, South Korea) who are not necessarily NATO members but who espouse values similar to those promoted and protected by NATO. So, how does NATO operate and what are its main objectives? As Sloan describes, NATO is a “collective defence system,” meaning that an attack against one is an attack against all (per article 5 of the treaty) as well as a “cooperative” one in which it adapts to evolving circumstances as warranted. Furthermore, he argues that it is “open” to new members so long as they’re committed to advancing the defence of the North Atlantic area and promoting the treaty’s principles related to democracy, liberty, and rule of law. In other words, according to Sloan, NATO does not need an enemy to fulfill its purpose. Just as important, and consistent with Sloan’s claim that NATO promotes and defends key Western values, the alliance is as much a political organization as a military alliance. For instance, NATO, in its role as a political organization, has helped to promote political change via, for example, its “Partnership for Peace” (PfP) program which sought to develop cooperation with non-NATO members. NATO also sought to expand cooperation with Russia via the 1997 “Founding Act with Russia” which established a NATO-Russia Permanent Joint Council although cooperation has been challenging in recent years given Russian actions in its former sphere of influence. Moreover, Sloan clarifies that NATO is not solely responsible for collective security among European states. Rather, that role belongs to the Organization for Security and Cooperation in Europe (OSCE). Sloan describes how NATO’s historical role has been to address external security challenges facing alliance members, although the alliance has undertaken some actions (e.g., Russia-NATO cooperation) that could be considered as promoting enhanced cooperation among European states. Sloan also argues that NATO is a “source of stability,” at least in the commonly held Western view, by acting as a potential bulwark against creeping Russian interventionism in Eastern Europe as well as providing an incentive for European states to cooperate with each other. Lastly, additional factors that make NATO unique in comparison with other alliances, as Sloan stresses, is that NATO is an alliance of commitment rather than of convenience. That is, membership in NATO is based upon the voluntary cooperation of independent, sovereign states unlike the Cold War-era Warsaw Pact in which members were forced to serve in the Soviet-led alliance. Additionally, what makes NATO, unlike other alliances, as described earlier, is NATO’s focus as much on values as security. Although published before “Brexit” and President Trump’s rise to power, this book highlights a number of internal and external challenges facing NATO that pose relevant questions regarding the alliance’s purpose and future prospects. Internally, challenges are manifold. First, Europe’s economy is still recovering from the 2008 global financial crisis, coupled with “Brexit” and continued Eurozone challenges, which has raised questions over the viability of the European Union (EU) and any further integration efforts, let alone NATO. Second, as a result of the economic downturn, along with other factors, defence spending in many NATO member states has continued to decrease, leading to increased tensions with the U.S. over the issue of burden-sharing. As Sloan notes, burden-sharing has always been a challenge but it has not led to the alliance’s collapse as of yet. At present, while each member is required to spend 2 percent of its GDP on defence, only five countries (Estonia, Greece, Poland, U.K., and U.S.) do so. Third, a continued inability of certain EU and NATO members to cooperate effectively further strains the alliance. Fourth, as a result of the economic downturn, a number of far-right and/or populist parties, many of which express the lack of support for NATO or EU structures, have arisen across Europe thereby further. Fifth, by supporting a number of these parties and engaging in other types of hybrid warfare to undermine the West, ongoing Russian actions add another significant constraint to NATO’s viability. Sixth, based on statements made by then-candidate and now President Trump, it is not yet clear in which direction the U.S. will go with regard to its leadership of and support to the alliance. External challenges, as Sloan correctly points out, reveal the current heightened state of uncertainty facing the West arguably more than at any other time since the end of the Cold War. These on include terrorism, as manifested by ISIL, Al-Qaeda, and their affiliates; Russian aggression in Ukraine and military intervention in Syria; political and economic pressures associated with an influx of refugees from the Middle East and North Africa; increased instability in the Middle East after the so-called “Arab Spring,” Syria’s ongoing civil war, and Iran’s destabilizing actions; proliferation of weapons of mass destruction (WMDs); information warfare; and cyber attacks. 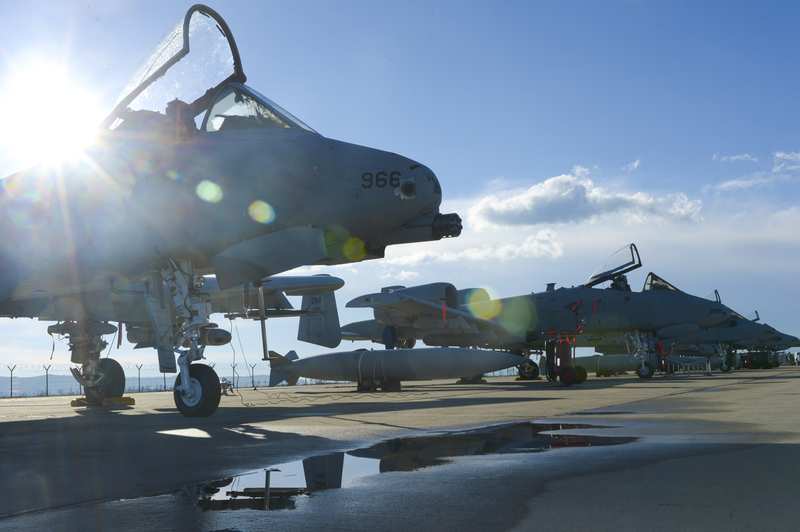 With all of these internal and external challenges, what’s in store for NATO’s future? Sloan is optimistic the alliance will survive. I would tend to agree—ever since the end of the Cold War, despite evolving geopolitical challenges, NATO has always adapted. Whether it was the Balkans in the 1990s, Afghanistan in 2001 and since, Libya in 2011, or dealing with ISIL or Russian aggression more recently, the alliance has persisted and evolved to address these threats. One could argue that NATO’s effectiveness in these endeavours has varied, but the point is that NATO has been able to carve out an important role in meeting changing security demands. Furthermore, even when the U.S. undertook a go-it-alone approach in the decision to attack Iraq in 2003, despite significant opposition from a number of fellow NATO members, the alliance was maintained. In conclusion, Sloan’s work is an outstanding contribution to the field of U.S. foreign and defence policy. His insights regarding the non-military aspects of NATO’s mandate, let alone the military alliance aspects, are critical to policymakers debating NATO’s future course. The book can be found here at Manchester University Press.